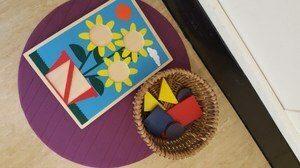 I like to vary the activities I provide in the Montessori playgroup. 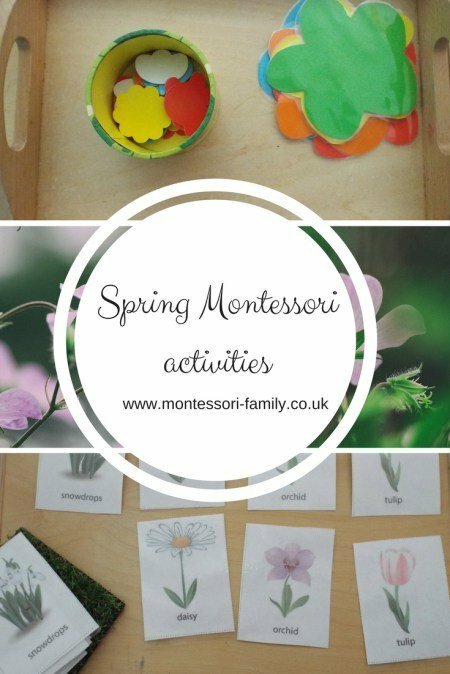 This half-term, I will present many Spring inspired activities. 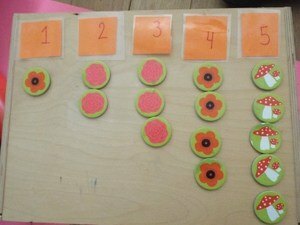 Cards and counters with flowers (and mushrooms!). 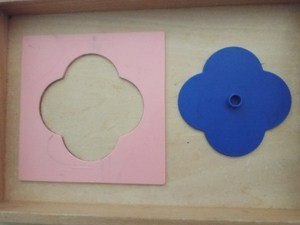 Again the counters come from one of our board game. 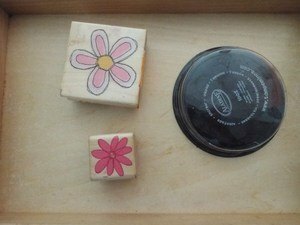 Melissa and Doug pattern block (find it here), I like the Melissa and Doug brand but in general, I simplify the activity by presenting one board at a time, the child has all the blocks he need to make the pictures on both side (one side at a time). I think the game presented in its entirety is more suitable for children over 3 when they can focus for a longer time. And always one open ended activity: here I use the Grimm stacking cubes, some cute animals from a board game, artificial flower bouquet from Wilko (I cut the flowers) and some stone number counters. And in your home or classroom, what is new on your shelves? You might be interested to check our Spring books and our Frog unit. Love a game that sorting! It’s a start for good life skills isn’t it. What brilliant activities! I am useless in thinking up activity ideas, stacking and matching are always a hit with the kids though! 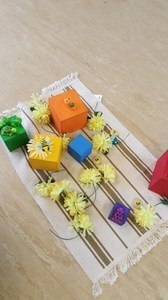 Loving the bee on the cubes, very cute! 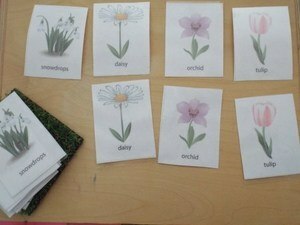 Some lovely ideas here and a great educational way to celebrate and learn about spring thanks for sharing! This is a lovely way to learn about spring. I shall share this with my friends who work in nurseries/schools. Great ideas, thanks for sharing so we can try them out! 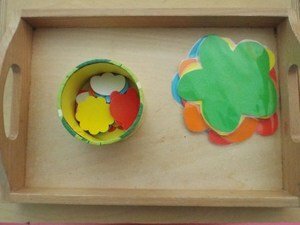 Loving this creative activities. 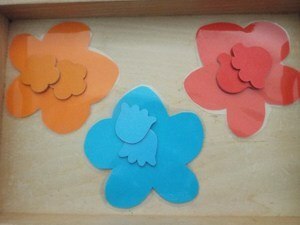 The box designs are absolutely gorgeous and great to get the little ones to learn their colours.